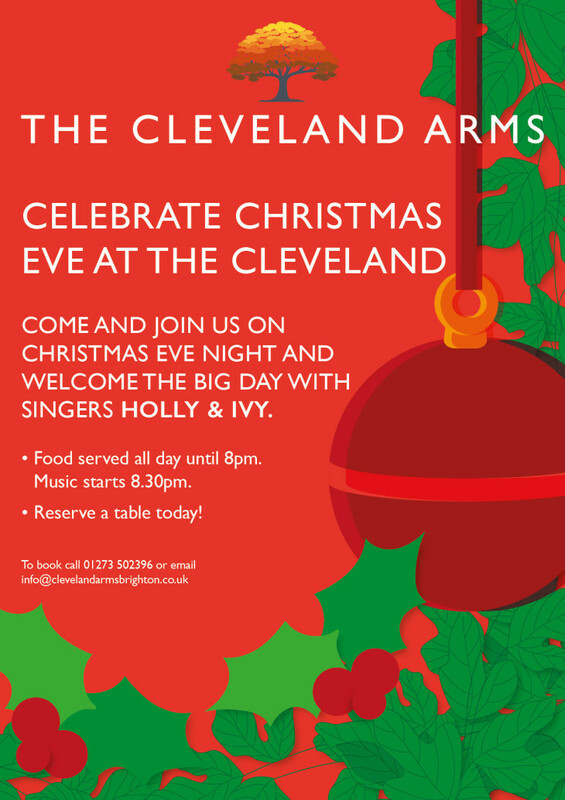 Join us for some festive and lively live music with 'Holly and Ivy' here at The Cleveland Arms on Christmas Eve from 8:30pm. Serving food all day until 8pm. Book a table now so not to be disappointed! !